Approximately 90 percent of Miskitu boys and men in the Río Plátano Biosphere Reserve along the north coast of Honduras have worked as deepwater divers in the lobster industry and their participation has left an indelible imprint on their society. While lobster diving is lucrative, it is also a life-threatening occupation and many divers have been injured or killed from decompression sickness-locally referred to as liwa mairin siknis (Mermaid sickness). According to Miskitu folklore, the Mermaid is the main water spirit, owner of all fresh and saltwater resources and capable of punishing male divers for extracting too many of her lobsters. Wary of the wrath of the supernatural liwa mairin, these men face another threat on shore: Miskitu women who use sexual magic--praidi saihka--as a tool to control men's wages and ensure that they continue to provide them with money. 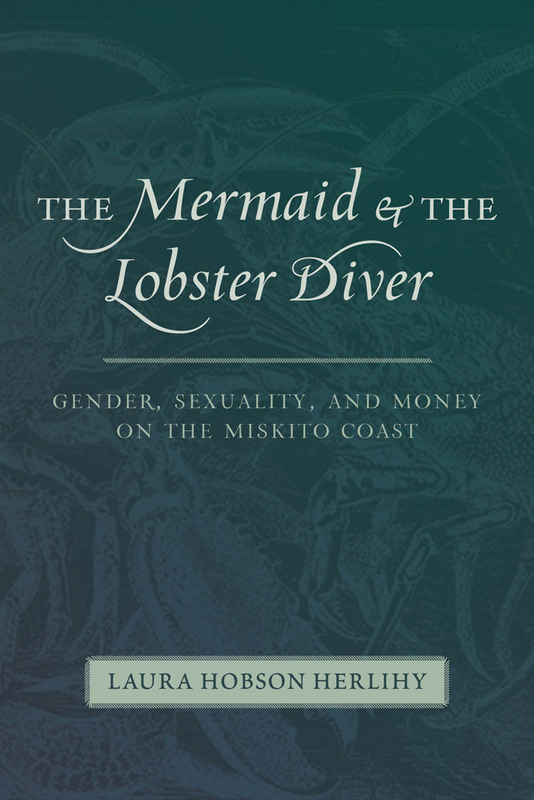 Interspersed with short stories, songs, and incantations, The Mermaid and the Lobster Diver demonstrates the archetypes of femininity and masculinity within Miskitu society, highlighting the power associated with women's sexuality--as manifested in both goddess and human form--and the vulnerable position of men. Laura Hobson Herlihy is a lecturer at the Center of Latin American Studies at the University of Kansas.